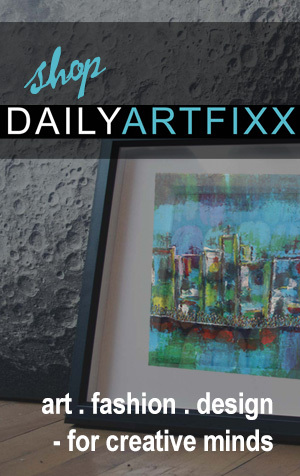 Many art lovers simply don’t have the budget to purchase original works of art. 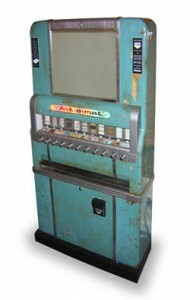 Enter the Art-O-Mat – re-purposed cigarette vending machines that have been converted to sell pocket size original works of art. North Carolina artist Clark Whittington created the first Art-O-Mat in 1997 which he showed along side his paintings at a solo show at a local cafe. The machine sold his black & white photographs for $1.00 each. 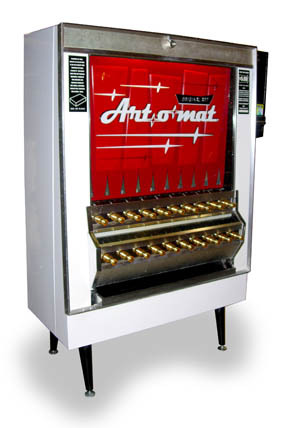 The art show was scheduled to close, however, the owner of the Penny Universitie Gallery, Cynthia Giles, loved the Art-O-Mat and asked that it stay. 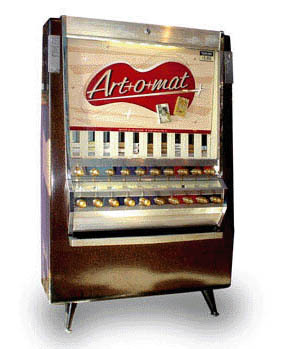 It remains in its original location to this day. 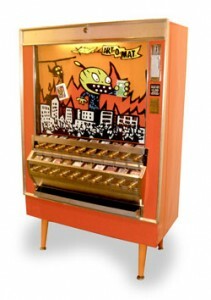 Following the show, the involvement of other artists was necessary for the project to continue. Giles introduced Whittington to other local artists and the group “Artists in Cellophane” was formed. The Art-O-Mat dispenses original art-works and may include paintings, photographs, sculpture, collage, illustration, handmade jewellery, textile arts, and more. 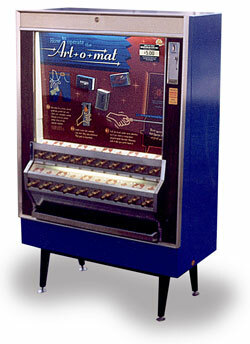 There are 82 machines in at least 28 American States, one in Quebec, Canada, and one in Vienna, Austria. There are around 400 contributing artists from 10 different countries currently involved in the Art-o-mat project. 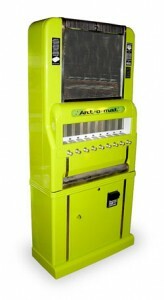 For more information, to get involved, or to find an Art-O-Mat near you, visit Art-O-Mat.org.